This is one of those really great, yet simple meals. Pour the water into the base of the insert. Add a steamer rack and place the pork chops on the rack and season with salt and pepper. 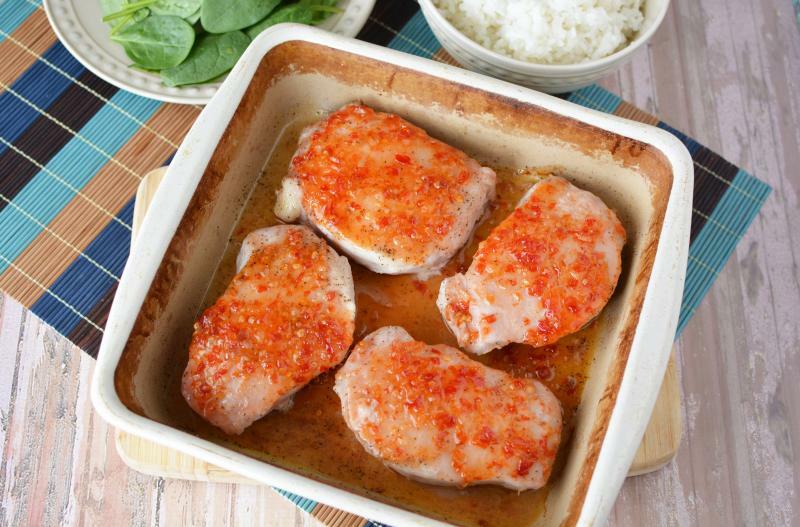 Brush the sweet Thai chili sauce onto each pork chop. 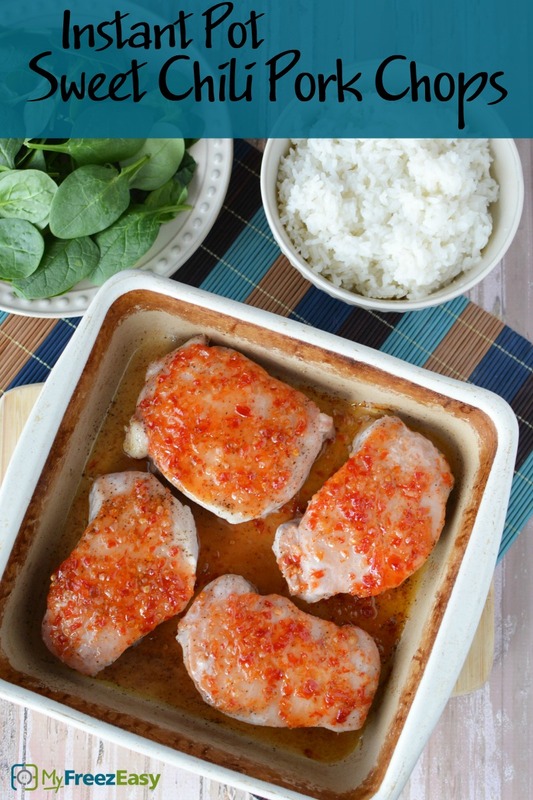 Serve Instant Pot Sweet Chili Pork Chops with veggies and rice. Remove as much air as possible, add label and freeze. Check the sweet Thai chili sauce for hidden gluten. Thaw, add hot water and steamer rack to Instant Pot and then add pork chops and sauce onto the steamer rack. Cook on high pressure for 15 minutes with sealed valve; then natural release.